The talk that I never quite gave but should have at the occupations would have been the one that directly discussed the issue that is most directly upsetting me about the current direction of the universities – mine, obviously, in particular, but lots of others in the UK too. It’s an issue that should be upsetting UK students too, though it’s something that perhaps the faculty can see more clearly at this point because we sit through endless departmental and extra-departmental meetings dealing with the issue. Problem with this topic is that it’s very easy to misconstrue and to misconstrue in the very worst of terms. It is what we might call a Daily Mail bridge-issue. Because of this, let me just say that my ideal of the university would be one that admitted students from anywhere – anywhere in the world – regardless of ability to pay. I suppose according to merit, though sometimes I have complicated thoughts about this issue. But the fact of the matter is that my university – like many others like it – is clearly and determinately attempting to shift its academic provision away from home students toward international students. While it seems very clear that home students will pay more under the new dispensation, they still, even at £9000 / annum, won’t cover costs. International students pay much more, and, from what I can tell, may soon pay significantly more than even the increasingly indebted home students. I really shouldn’t go into the exact details about how this is happening – in general, a turn from BA programmes attractive to UK undergraduates (and in many cases extremely difficult to get into) toward MA programmes attractive to Americans and other non-EU students is one of the clearest steps. There are other things – establishing interdisciplinary BA programmes that will directly draw down our single honours intake, not so tacit pressure to take PhD students from abroad etc. Just to be clear: I don’t per se blame my university – or any university – for implementing these changes. We are in a funding crisis, and no one in this country has the sort of endowment to survive these changes by play through according to the old rules. I blame the coalition government – as well as the previous government, to an extent – for the current state of affairs and the necessity of implementing changes that, incrementally, seem to be bent on turning very good academic institutions into mediocre “heritage industry” semi-corporations, inevitably full of “MA Tourists” taking up the teaching time that used to be spent on brilliant and often enough very deserving undergraduates. Like the student occupiers’ complaint about fees, this issue is extremely vivid – not at all an amorphous gripe about potential outcomes or vague political positions but an everyday reality of my life and those whom I work with and teach. Again, I wish I had gotten a chance to explain this at length at some point during the occupations. Let’s hope – or anticipate – that the opportunity will come again and soon in 2011. Now that IS a problem, particularly if you confound it with access based on merit, even as a replacement for the fiscal priorities of the institution. I suspect the University I work in isn’t the only one looking at ‘added value’ statistics in a totally perverse way – the successful indication being to admit students with the highest possible entry grades and send them out with the same. Obviously, the solution to all of this is, to the extent that access remains limited, to assign it randomly based on neither wealth or merit, and then all of us working in the sector do the best job we can for our students (I’d like to hope that no one else working in the public sector would want to take my merit into account when considering my access to the particular service). I know what you mean. We all have utopian aspirations etc. But I’ll take admissions on merit (w/o concern for financial status) a million times over the other, a fronting of “the fiscal priorities of the institution” as an admissions indicator. Given what I was saying in the sentence of mine that you quoted, and the first sentence of your response, it almost sounds like you’d take financial ability over merit… which is obviously absurd. I’m sure you don’t mean that. Certainly, I don’t mean that. But there are a couple of real problems with turning to merit: one is that it already serves as a pretty good proxy for socioeconomic status, and another is that it seems to imply that cleverer people are somehow more entitled to 3rd level education than less clever ones, and I just don’t accept that. In fact, I would say that since those with the greates academic merit are already so handsomely advantaged, that it would make sense (and I’m not being utopian here, any more than I think saying ill people should have access to health care is being utopian) to preferentially provide access to those with a poorer academic profile. I don’t recall whether this came up when we discussed this last Spring, but does the British government offer high-leverage financial support for foreign students? Because at UC — which has implemented similar policies for both under- and graduate work — it seems as if there are high-interest-rate student loans that are readily available for foreign students; loans, that is, that no native student would abide by unless they were getting an Ivy imprimatur. The problem is that the UK is about to offer NO financial support for anyone, save for secured loans for undergrads. Postgrads I imagine will just have to pay cash up front – no govt. suppled credit card…. The government-supplied credit card is only marginally better than an actual one: one of my students has a loan she’s paying 19 percent interest on, and even though it’s through some sort of foreign student loan program, it may as well be through Visa. That’s what I meant: the university sees foreign students as profit, pure and simple, whereas those students it’s supposed to have a social commitment to are, well, far less profitable. Yes exactly the same here except with slightly different ins and outs…. I must say, I get tired of people who make money off Americans and int’l students treating those same int’l students with contempt. I’ve often thought that int’l students in the UK should form a union. Perhaps we should even leave the UK en masse and watch the entire higher education system crumble as a result. As an American who has done an MA and PhD here (and an MFA and BA back home), I think any American student would be INSANE to pay increased costs to study here. It’s simply not worth it. The standard of education at American universities is much higher, without question. For example, my MA in English here was all seminars. Might as well stay at home and start a book club. Much cheaper! And at least if you stay in the States, you won’t be treated as nothing more than a cash machine in the most crass and offensive way, which is what happens here. You can always offer “pro bono” seminars in Starbucks. Have you read this n+1 pamphlet intending to guide students in their reading? A more elaborate web based version of this would be a boon to autodidacts everywhere. 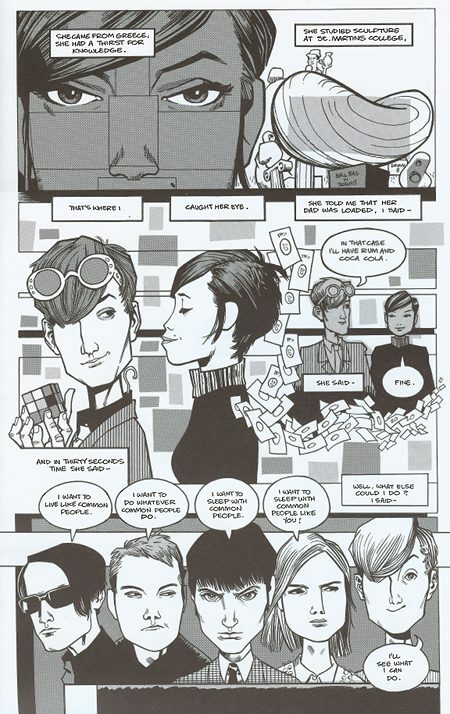 Actually, something just struck me – what is particularly good about the n+1 books is that the reader is eavesdropping on a conversation, on a kind of transcript of a seminar. And so the appropriate way to talk is also being revealed. And thus I just realised why BBC4 type culture programming is so insufficient (rather than my nostalgia for slow paced 70s TV), because the middlebrow approach excludes the possibility of hearing the way people actually do talk in a seminary kind of environment. Also, what happened to American womens’ voices in the past 20 years? They seem to have gone up an octave. I must say, I get tired of people who make money off Americans and int’l students treating those same int’l students with contempt. Well, and the reasons for that are in most cases structural, not personal. That’s exactly what I’m trying to get at above, obviously from a different angle than you. The standard of education at American universities is much higher, without question. This isn’t true in certain cases… At least as things currently stand. The undergrad provision in my department is quite outstanding, a sort of “major research university pretends its a liberal arts college” sort of thing. For example, my MA in English here was all seminars. Might as well stay at home and start a book club. Much cheaper! I think you’d find that the case with most MAs in English in the US too. Do you mean vs. tutorials of some sort? I did my tourist MA down the street from you because even the much-higher student fees for non-EU internationals amounted to less than a third of what I would have paid for one year’s worth of tuition and fees at a US university of comparable standing in my field. Given the amount of student loan debt I’d already racked up as an undergrad, it was the only financially feasible option and, while I sympathize quite a bit with your point now, I am glad that that option existed for me. I was able to just get on with my education, rather than having to dig myself significantly deeper into debt. That being said, it was my experience that students on a terminal MA program, international or otherwise, occupied a sort of no man’s land in terms of teaching. It was understood that people were taking the course for a pretty wide variety of reasons, and that comparatively few planned to stay in academia. With us, there was neither the urgency of teaching undergrads, nor the attention to professional formation that comes out when working with doctoral students. And there certainly were a few people on my course who just took their seminars and got out – not many, but enough to make you wonder whether the teaching hours spent on them were, in fact, wasted. One had to really choose to get something out of the course. Of course this is true of just about anything, but it’s also familiar from the more cynical, business-transaction style of US universities. Again, though: I’m glad I had the option.